Lex Artifex Law Firm Launches International Clients’ Helpdesk - Law Firm in Nigeria - Lawyers in Nigeria. Lex Artifex LLP., a law firm specializing in transactional law and international commercial law, announced the launch of its International Clients’ Helpdesk (“ICH”). The launch of the ICH follows the increasing interest in the Nigerian market by offshore investors and overseas companies. Nigeria has the biggest economy in Africa, with a GDP of about 400 billion dollars, and a population size of nearly 200 million people. 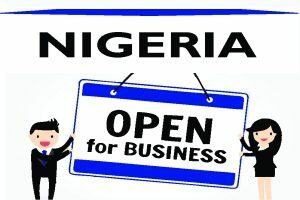 “We have launched the International Clients’ Helpdesk to help business people seeking legal representation in Nigeria to conduct due diligence, business registration, customs certifications, debt recovery, expat and immigration services, shipping and maritime services, patents, trademarks and designs applications, investment advisory, and company secretarial services,” said Mr. EdoAbasi Udo, the Lex Artifex LLP’s chairman. “Lex Artifex LLP is a full-service firm in Nigeria that helps clients navigate the legal, tax and regulatory considerations for doing business”. Lex Artifex LLP is a window for businessmen looking to enter the Nigerian market and the one-stop shop for legal compliance services in Nigeria. “Lex Artifex Law Firm is a window for businessmen looking to locate in Nigeria and the one-stop shop for offshore clients seeking licensing in Nigeria or expansion. 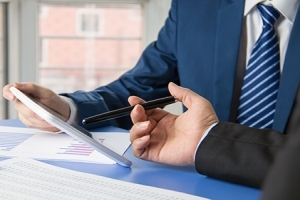 We guide our clients through every step of the investment or trade process, from pre-formation planning and beyond”. Providing top-tier, timely and cost-efficient legal services in Nigeria and helping clients avoid legal liabilities and business risks, the Lex Artifex LLP Law Firm comprises a team of smart, hardworking and urbane lawyers with detailed knowledge of Nigerian business law and international commercial law, and a passion in bringing clients the best legal solutions in all processes. International businessmen and transnational companies considering trade and investment in Nigeria are encouraged to visit the Lex Artifex LLP’s website at http://lexartifexllp.com; call +234.803.979.5959; or fill out the appropriate contact form on the firm’s website. The lawyers are proficient in the English language and work with non-English speaking clients through interpreters and language translators. To learn more about the International Clients’ Helpdesk of the Lex Artifex LLP Law Firm, please email: lexartifexllp@lexartifexllp.com.